Stunning 2 story colonial in upscale Stonefield Woods. This magnificent 4000 sq. 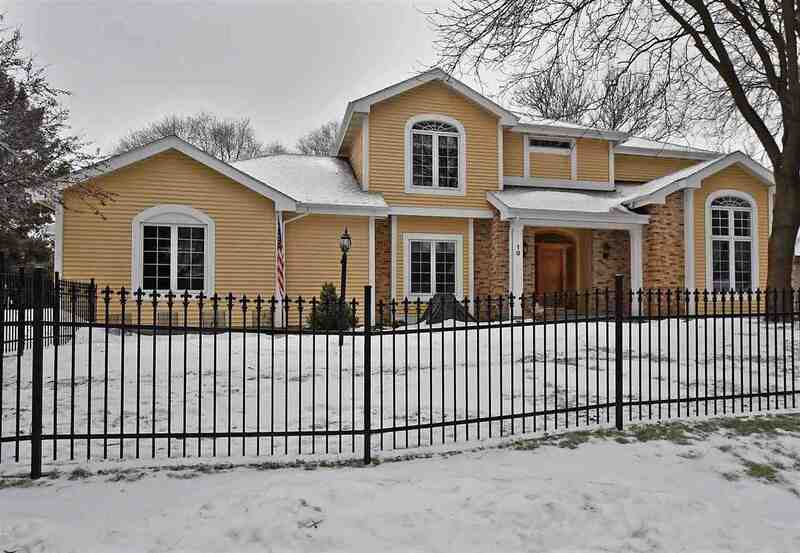 ft home features a large great room with wood burning fireplace, 9' ceilings with crown molding. Spacious kitchen, oak cabinets with corian counter tops, hardwood floors and a bright and cheery sun room overlooking skillfully landscaped yard with beautiful stone walls & gardens. Grand staircase to 4 spacious bedrooms, large master suite with updated bath, cherry vanity, Italian marble counter & walk in tile shower. Lower level rec room with wet bar, gas fireplace and theater room. Great home in a convenient location!